My 2014 ML350 had tire pressure warning twice in the past 20 months. The first time I saw the warning was when it was a few month new. I inflated the tire to according to the table on the B pillar of the drivers door. A worker in the dealership told me that the pressure I set was too high. He told me that it shall be set according to the table on the fuel door. I didn't notice the number on the fuel door before. I have a service 10 days ago. 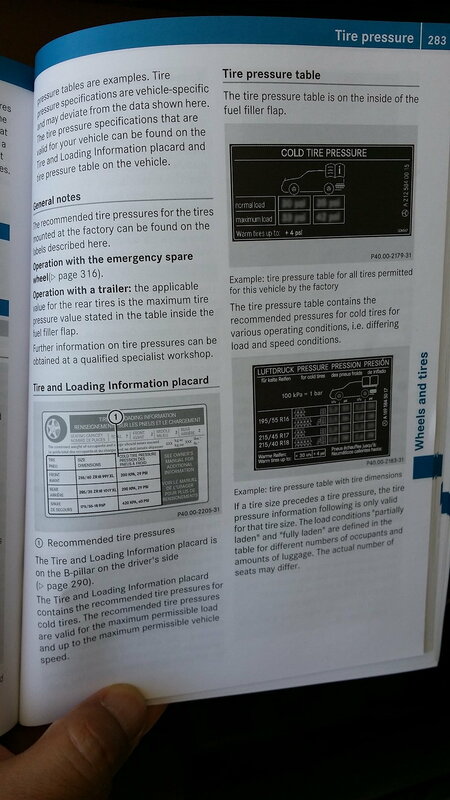 Yesterday, I saw the "Correct tire pressure" warning. 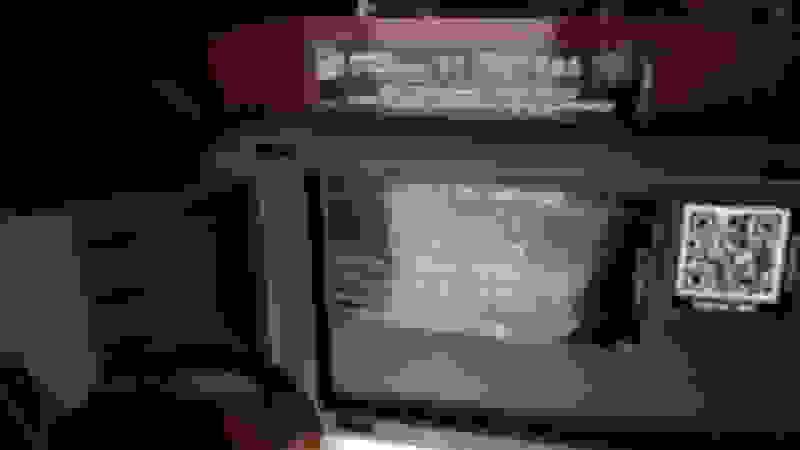 The numbers showed were between 33 to 35. When I brought the car to the dealership, the worker say it shall be 45(Front) and 48(Rear) according to the B pillar. He inflate the tires to 46 and 49 for me. After coming home, I read the manual. It was very confusing. I googled it and found many people asked the similar questions for all different Mercedes models, and there were no clear answers. 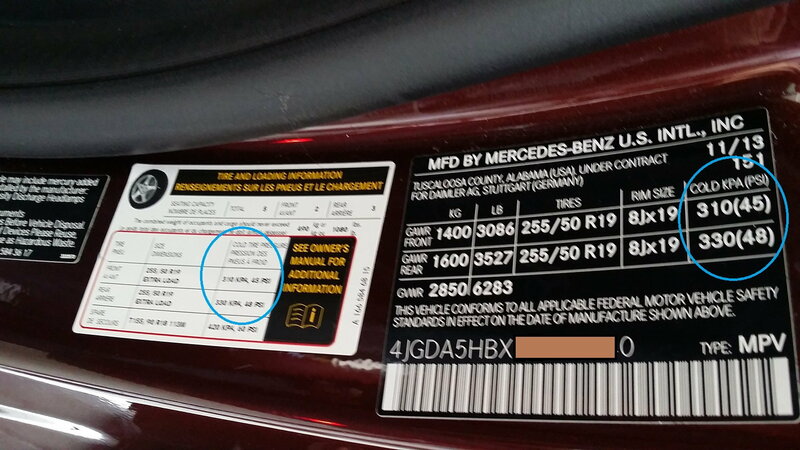 According to several forums, some users called the Mercedes service hotline and got different answers, sometimes they were told to use the number in B pillar, but sometimes the fuel door. After reading the manual several times, I think the B pillar number is the pressure for maximum load. Then I realized that on the fuel door, there is also a line for maximum load. These numbers don't match. Two sets of tire pressure numbers on the B pillar. I don't know why do they need two sets here. They are the same though. Two sets of tire pressure numbers on the fuel door. These number don't match those showed on B pillar. The manual doesn't provide clear information either. Let me be clear - frack the B-Pillar - and frack the idiot at the dealership who filled to B-pillar too. Recommended tire pressures are inside fuel filler door - and most of my customers inflate at 38-40 psi equal all around. A difference in 2lb psi should be "noticeable" - test drive set pressure for 1 week - then feel free to go up or down 2psi for a 2nd week - then dial in what you prefer best. TPS monitor is a delation/leak/blowout warrning system - and to do that must be very sensitive to give you quick warning - tire pressure monitor system is NOT designed to "monitor" tire pressure since it is that sensitive - one side of the MB in the sun, the other side in that shadow - yes, gives you 2psi or more variance between sunny side vrs shadow side... don't let it drive you nuts.. I inflated my tires per the fuel door and still got low-pressure warnings. Apparently in some cases the factory ships with the default settings in the TPMS set at higher levels than the fuel door recommendations. I reset the settings (procedure is in the manual) and have had no problems since. REMEMBER EVERY TIME YOU CHANGE THE TPM SETTINGS THE NEW SETTING MUST BE REPROGRAMMED WITH THE 'OK' SETTING. TPM ALARM SHOULD NOT SOUND UNLESS TIRE PRESSURE GOES MORE THAN 4 LBS BELOW THE SAVED PRESET. In the UK we only have the pressures on the fuel filler door, i set mine to 32psi. I have the 20inch wheels and 30-32 psi cold works fine unloaded. 40+ is WAY too high unless fully loaded and towing. Agree 100%. I believe that it also depends on what tires you have & individual preference. Set My CONTI CrossContac LS20 ECO PLUS @ 34 psi & adjust for hot & cold weather. A good compromise of ride/handling. Fuel door is correct for average load. Dont bother with max load on any car unless you are towing and have full load luggage.